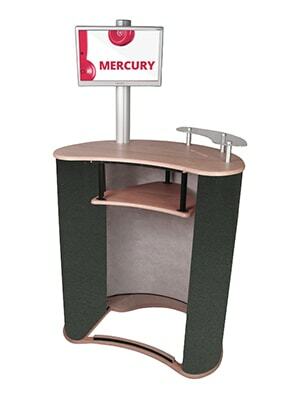 Eclipse is part of the Physique Freestyle flat-pack counter range and is ideal as a greeting counter, workstation or product display unit. 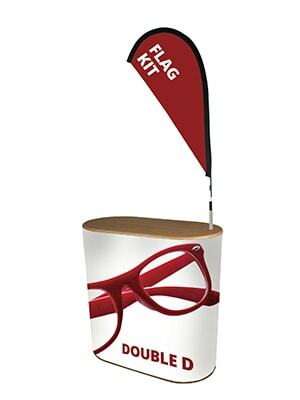 This popular and versatile counter is part of the Physique Graphic flat-pack counter range. 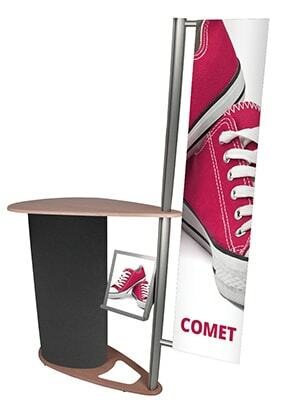 Part of the Physique Graphic flat-pack counter range, Comet is a stylish teardrop counter with integral literature holder and optional flag post. The ideal counter when you need to grab attention. 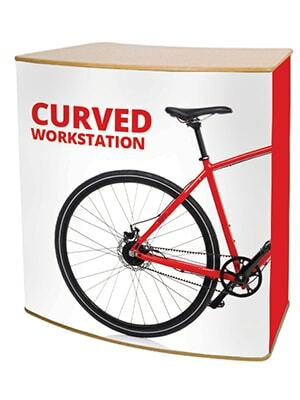 Curved Workstation is part of the Physique Freestyle flat-pack counter range. This is a simple, yet versatile curved counter which can have an open or closed back. A very lightweight and attractive workstation with fine-grade fluted plastic tambour for a smoother finish. 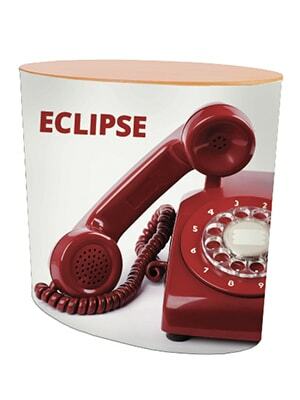 The plastic tambour is ideal for application of laminate graphics. 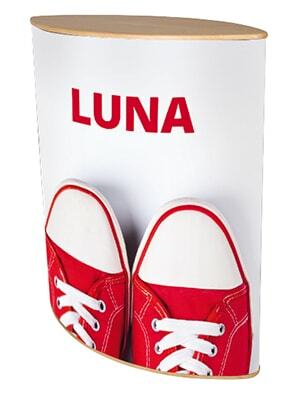 Luna is perfect for roadshows or where portability is important.